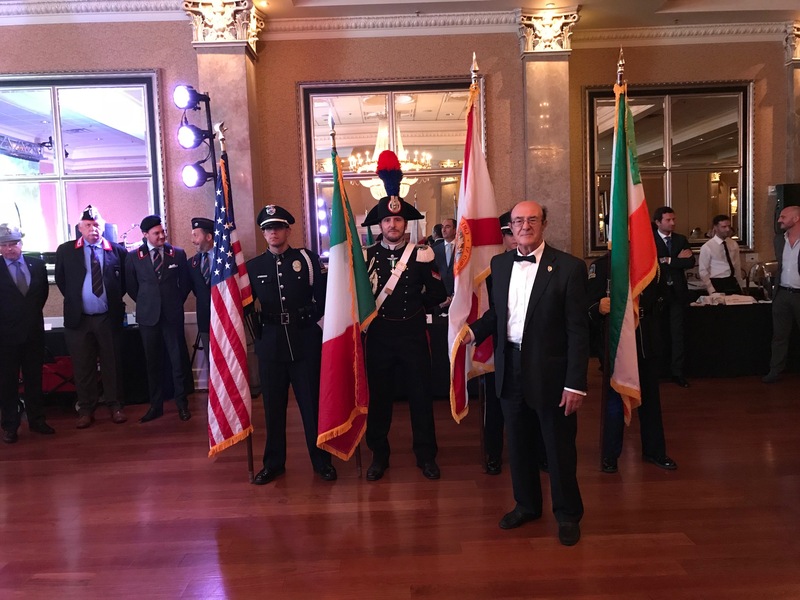 PRESIDENT OF ITALY, WITH THE "ORDER OF THE STAR OF ITALY"
at a ceremony organized by the Italian Consulate, Coral Gables, Florida, on May 31, 2018 in the occasion of Italy National Day. 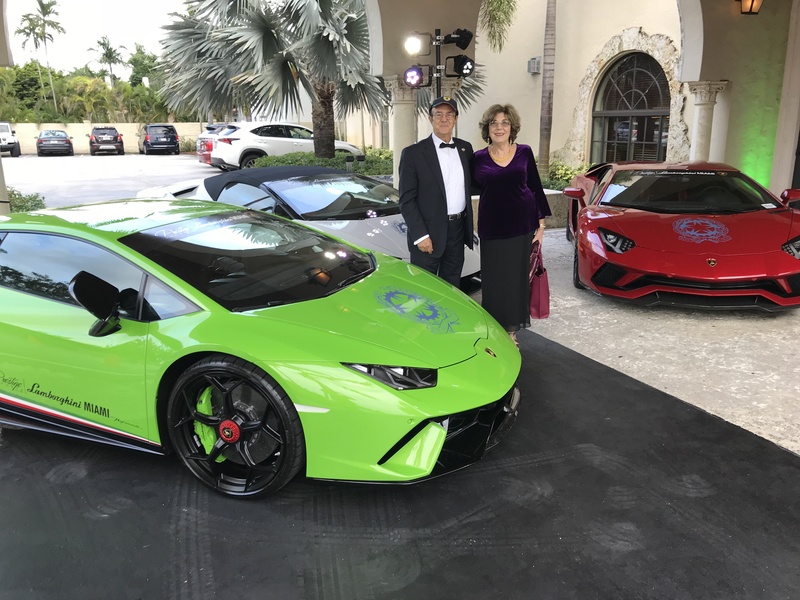 Prof. and Mrs. Santilli on arrival at the ceremony greeted by Lamborghini cars. 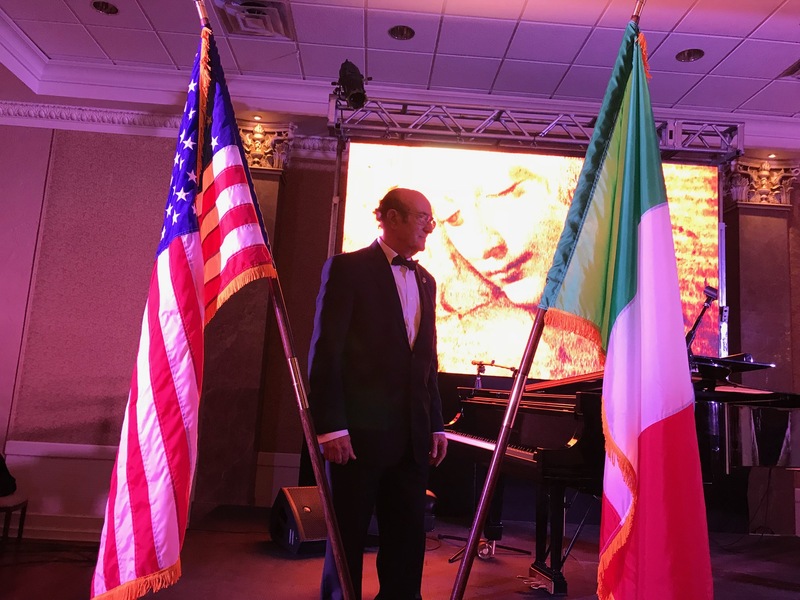 The Italian Consul General Dott. 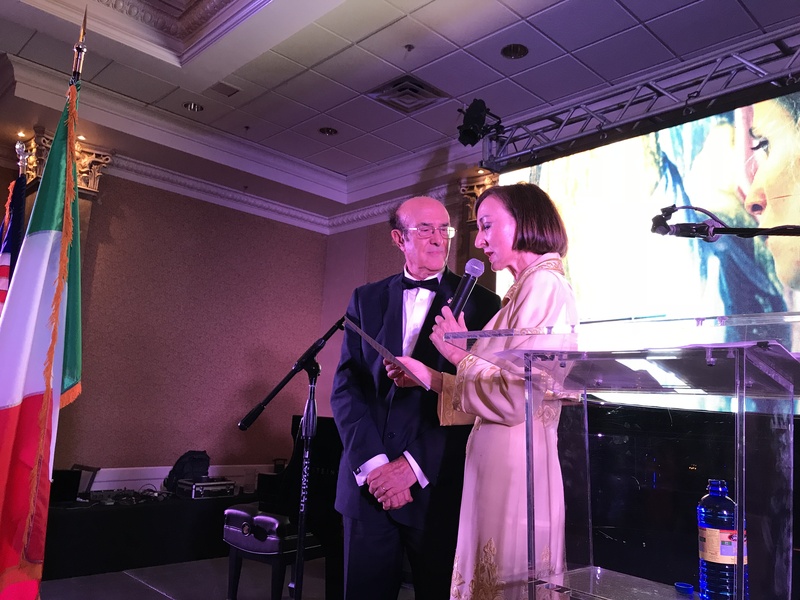 Gloria Marina Bellelli calls Prof. Santilli to the podium. 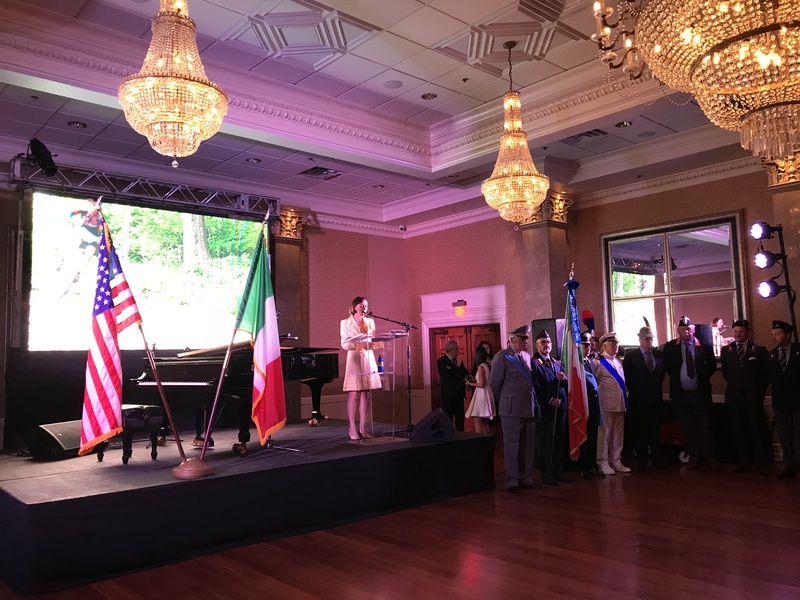 Prof. Santilli arrives at the podium passing in between the American and the Italian flags. 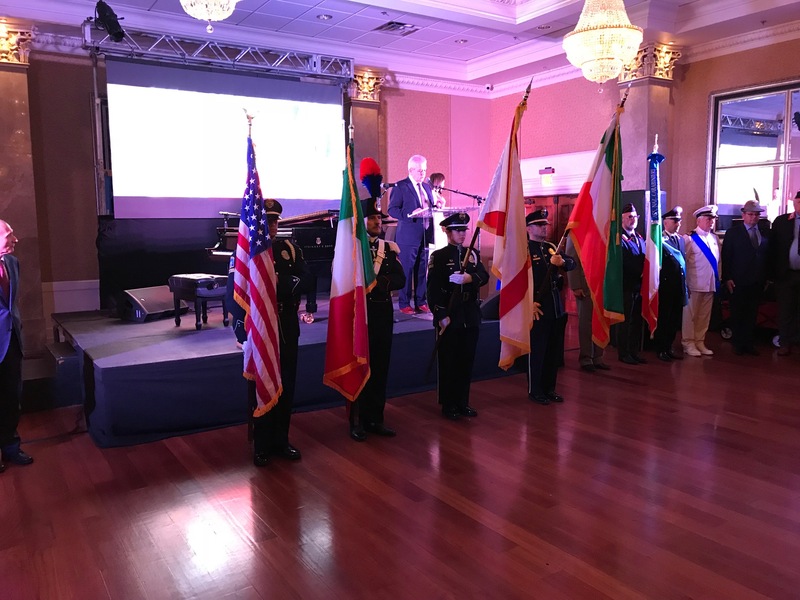 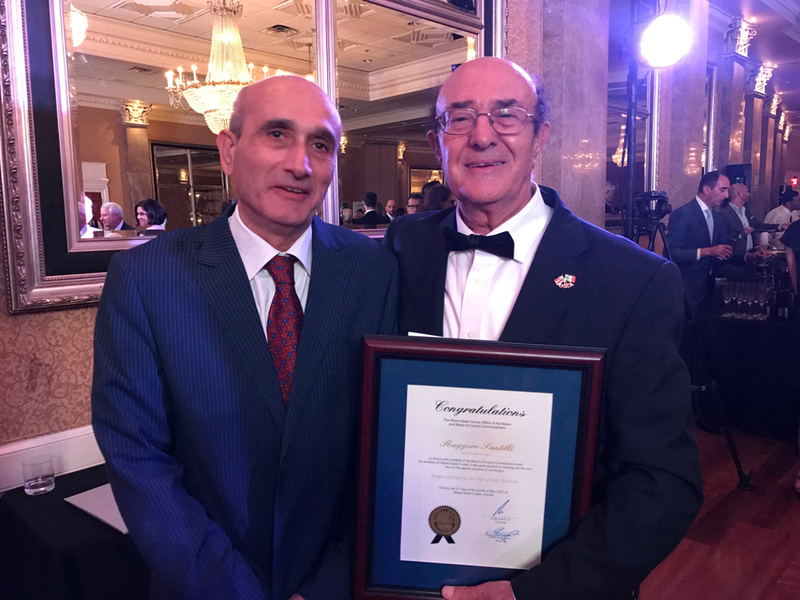 "In carrying out his scientific and business activities , Professor Santilli is constantly engaged in the promotion of international collaborations involving Italian researchers and industries. 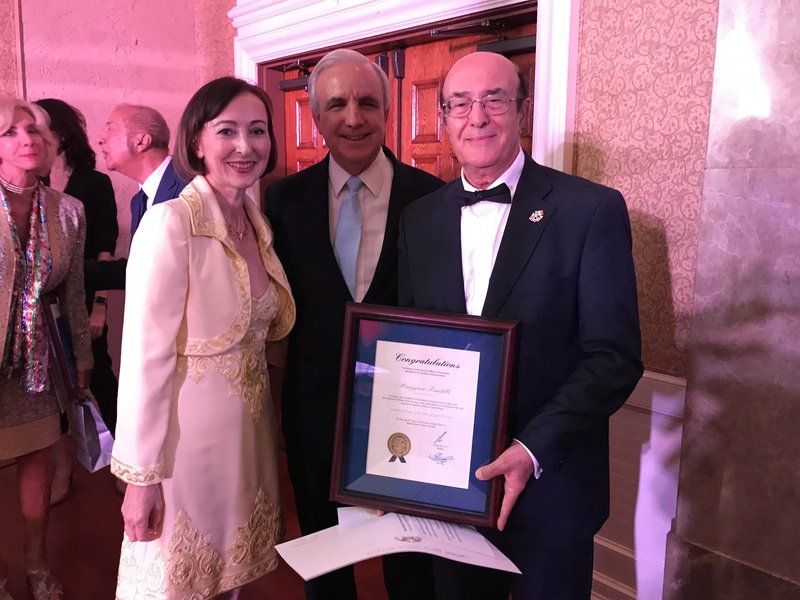 Much of his research also focuses on the creation of technologies for sustainable development, aimed at improving energy efficiency and reducing pollution on a global scale. 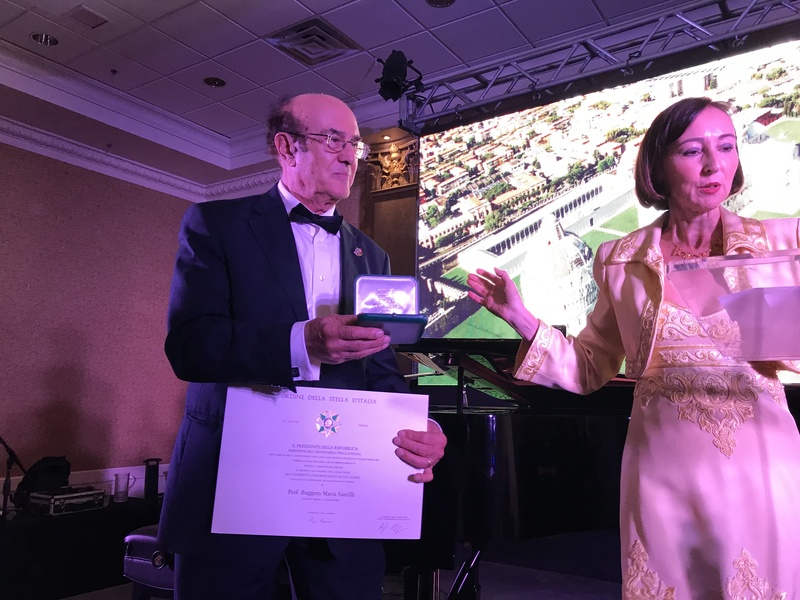 All this makes Ruggero Maria Santilli deserving of the title of Knight of the Order of the Star of Italy. 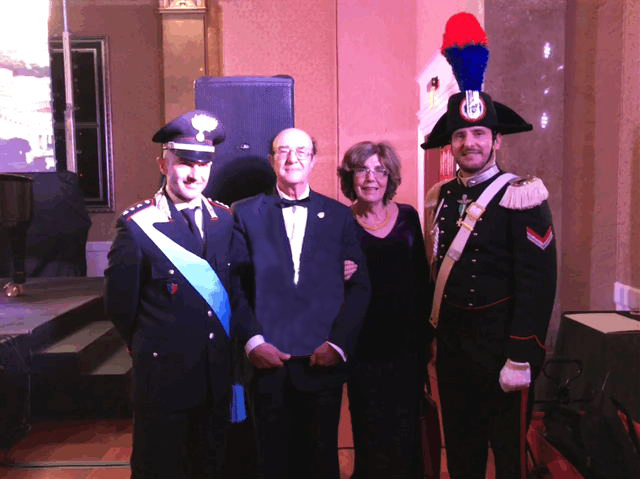 "being a Knight of Order of the Star of Italy"